“Is it time to lay the Holocaust to rest?” I would say “good question”, but in truth it is not a good question. It is not a wise question, nor a sincere question. It is a question that exhibits ignorance and hate and lack of understanding of the world as it is meant to be. 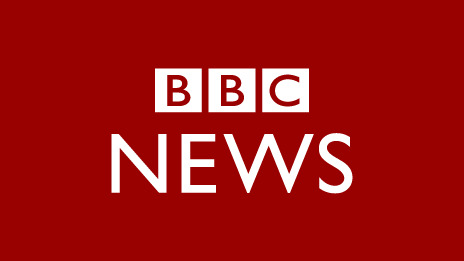 I do not know what connection you or your personal viewpoints have to this question tweeted by BBC’s;The Big Questions, but since it is produced by Mentorn Media and you are the Executive Chairman, it is you I will address regarding this matter. Naturally, as a Jew, I am beyond offended. I am only in my 50s, so the fact that I never knew my grandparents nor my mother’s only brother and my father’s younger sister, should already indicate that this is not ancient history we are talking about. To be frank, even if it was ancient history I would find this question offensive. Should we put Passover to rest as well while we’re at it? After all, it WAS only Jews who were slaves in Egypt. 6 million Jews were murdered in the Holocaust. To make it easier for the small-minded people at the BBC to comprehend, that is the equivalent to filling up Wembley Stadium 66 times. The question is not an example of enlightenment through journalism, rather an irresponsible, ignorant, and quite honestly a disgraceful opening for a discussion that should not even be considered in the civilized world. Even from a non-Jewish perspective the question is offensive. It’s not as though we live in a world without evil. We still see people getting tortured, persecuted and murdered. Is it time to put slavery to rest? How about the Cambodian genocide? Or the Armenian genocide? For that matter we might as well put the Rwandan genocide to rest as well. After all, we would hate to get in the way of BBC’s quest for enlightenment. Even without putting the Holocaust to rest the Jewish people face threats and challenges. If we put the Holocaust to rest it will lead to those acting as though it never happened, empowering those that wish to see it happen all over again. We as a person are not prepared to let that happen and nothing a staunchly Arab-influenced BBC does will change our resolve. NEVER AGAIN is the motto many of us live by, and that is exactly the opposite of putting the Holocaust to rest. Get over it.